Based in the University of Melbourne’s Faculty of Arts, the Indigenous Settler Relations Collaboration (ISRC) brings together cross-disciplinary researchers to explore Voice, Treaty and Truth. Through cross-cultural research projects the team will look at how Aboriginal and Torres Strait Islander peoples can assume a more respected and influential public voice in Australia’s social and political life. They will also explore how structural reform can improve current relations and how truth-telling can lead to an enriched understanding of Australia’s shared and contested histories. 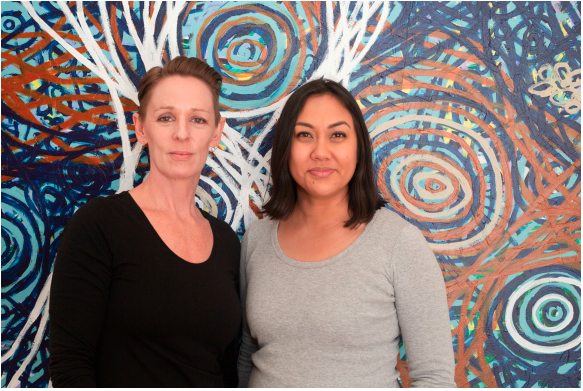 Associate Professor Sarah Maddison and Dr Sana Nakata are co-directors of the ISRC. “In the wake of government rejection of the Uluru Statement from the Heart, ISRC will expand public and official understanding of the challenges between Indigenous and settler Australians,” Associate Professor Maddison said. The multidisciplinary team includes researchers in anthropology, criminology, cultural studies, development studies, history, law, media, journalism, political science and sociology. Victorian Treaty Advancement Commissioner Ms Gallagher, a Gunditjmara woman, will officially launch the ISRC. "The Victorian treaty process highlights the need for research that will help strengthen relationships between Indigenous and settler peoples,” Ms Gallagher said. Senior Advisor to the President of the University of Columbia on Indigenous Affairs and Canada Research Chair in Global Indigenous Rights and Politics Sheryl Lightfoot, an Anishinabe woman, is attending the launch, along with Faculty of Arts Dean Denise Varney. “We’re delighted to host this key Indigenous research unit in Arts and provide a hub for academics who are interested in examining contemporary Indigenous affairs,” Professor Varney said. The event starts at 6pm in the Arts West Atrium. Staff, students, general public and media are welcome to attend.